Use this guide to bring life back to an iPhone SE that no longer holds a charge, and replace your old battery with a new one. The SE battery is not compatible with the iPhone 5s battery. If your battery is swollen, take appropriate precautions. The adhesive strips securing the battery are not re-usable, so you'll want to have a supply of replacement adhesive strips on hand before you begin. Alternatively, you can secure the battery using a piece of double-sided tape. Second, my adhesive strips broke before I got anywhere close to the battery corner ! So I used dental floss. Starting at one corner of the battery, using a sawing motion to reach the other (nearest) corner, then came down the length of the battery. The floss broke about a dozen times, but after about 15-20 minutes it had cut the battery clean away from the adhesive. To reassemble your device, follow these instructions in reverse order. For optimal performance, calibrate your newly installed battery: Charge it to 100% and keep charging it for at least two more hours. Then use your iPhone until it shuts off due to low battery. Finally, charge it uninterrupted to 100%. 173 other people completed this guide. Hi Nico! It sounds like you may have gotten the wrong battery? The SE has a battery different from both the iPhone 5s and the iPhone 5. Hi, do you have to remove the screen? Yes, you do have to remove the screen. Successfully reassembled iPhone. Appreciate the tools and the instructions. Please note in the installation of the battery itself to leave a bit of room at the front end to fold over the black adhesive tab. The photo makes it look like the battery abuts the components and black tab. It should not. Leave a gap. I found that the rubber band holding the touch screen vertically mounted to a box to be essential - recommend you do this. Some suggestions to the iFixit Team regarding instructions. I request that the orientation of the phone is the same in all photos. A bit confusing when the orientation changes from step to step. If necessary at least let the user know when it has changed. It’s stressful enough taking apart the phone to suddenly see a different view (and yes I read the instructions several times before hand). Also ask that you consider putting in steps to reassemble. Reassembling is not the same as reversing assembly. That way steps 10 and 11 could be their own section and not break the flow. Yes, if using a suction cup (or two) zip tie the phone so it will open only a quarter of an inch at first. 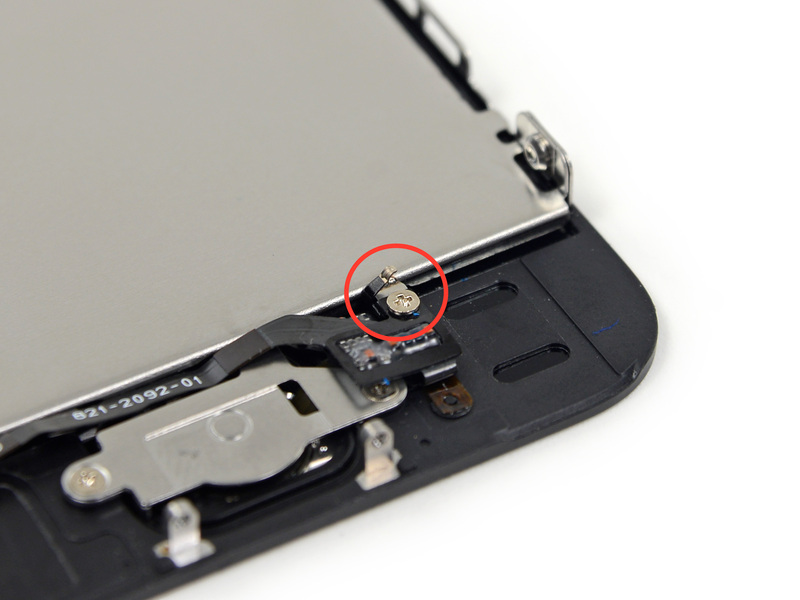 Once the screen is free, remove the tie and then you can remove the connector. Well written and very useful instructions. Clearly, small hands and good eyes are very helpful in performing this surgery. I was surprised to discover, after completing the new battery installation, that my iPhone SE powered up with all of its memory intact. I was expecting it to require a re-install and had performed a backup of everything in memory immediately before beginning the battery replacement procedure. I have replaced the battery and since then I hear only a noise on the headphones. The normal speakers work as usual. Does anyone know the problem or has a solution? Replaced battery successfully and easily. I didn’t have my iOpener bag handy when I did it, but I set it on the top of a radiator heater for a couple minutes removed the adhesive without issue. I also skipped the screen removal steps. Are the two pink strips in the replacement battery package replacement adhesive strips? Hi @rozgnatt, they sure are! Follow the adhesive strip replacement guide to see photos and get instructions! I found that I could easily skip steps 17-22 (removal of screen), which saved quite a bit of time in the whole process! The battery, hence the phone, is performing excellently, with no problems! **But I should note that the old battery was able to be removed by stretching the old adhesive strips without them breaking, so heat was not needed. I don’t think it would have been possible to keep the screen connected if a heat gun or hair dryer had been required to break the adhesion of the battery to the back case. Steps 17-22 would have been required in that instance. Thanks!! I plan on following this guide to replace my battery. I also need to remove dust from my front and rear facing camera. Do you think it is possible to use compressed air or a handheld rubber air blower to get rid of the dust around the camera during the process of battery replacement? Otherwise I think I will have to perform some extra steps to open up the rear and front facing cameras.